At Jets Truck & Auto Body, We Pride Ourselves In Our Knowledge Of Truck Repair And Maintenance To Get Your Vehicle Back On The Road. Rensselaer County native Jeff Pfeffer started Jets in 1984, on Rt. 9 in Castleton and then moved to his larger location on Rt. 20 in Nassau, just three and a half miles east of the 9 & 20 juncture. In June of 2014, with a large Columbia County clientele, he expanded and opened a second location at 2532 Route 9H in Kinderhook. He purchased the original Kinderhook Toyota buildings. Jeff and his crew continue to earn praise from customers, and car dealers, for their excellence in the body shop and with customer service. 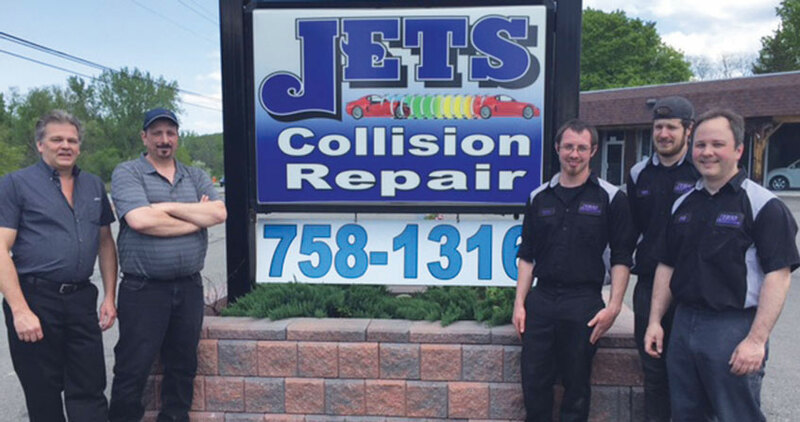 Now celebrating 35 years., Jets Truck & Auto Body has served many customers repeatedly from both Columbia and Rensselaer counties. 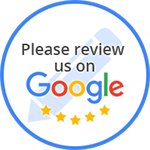 A testament to excellence is his many repeat customers and personal referrals from auto body shops, car dealers and former customers. Jeff is very compassionate towards his customers, “Accidents are stressful enough to begin with,” says Jeff, “so we try to make things as stress-free as possible on our end.” He wants everyone reading this to put his phone numbers in your phone; just in case you hit a deer or get into an accident and need a tow, rental car and collision repair. You will want to make a call to a locally owned & very reputable company that will take the time to ask how you are and help you through the process during a stressful time. Jets Truck & Auto Body works with all Insurance companies and their estimates and will try to speed the process up as much as possible. They do have rentals available and 24-hour towing capability. They can even pick your car up for repair and deliver it back to you on completion if that is necessary. Jeff and his team are dedicated to making the process as seamless and least stressful for you. 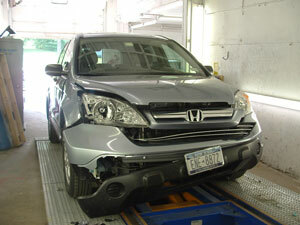 Jets Truck & Auto Body true specialty has always been collision repair. Everything from small dents to heavy wrecks, they have constantly keep up with the latest equipment and skills to handle your collision needs. They even have full glass coverage capability, including windshields. The Nassau facility has 7 working bays, 2 wash bays, and a down-draft painting booth for when they are done with the repair work. A Car-O-Tronics (which is manufactured by Car-O-Liner, a Swedish company) is a computer measuring system that puts the vehicle back into company specs, no matter what vehicle it is, car or truck, foreign or domestic. This equipment is state of the art, costing over $100,000. In both locations, it ensures the car leaves Jets Truck & Auto Body fixed and in showroom, new car specifications. In addition to this, they have $80,000 of frame equipment and also a new resistance welder. This new I-Spot ($24,000) welder is programmable for different manufacturers’ specifications and can weld boron steel, for instance, which is on many of the new cars. They have spent a lot to insure that they can get a person’s vehicle back to the condition it was in before a collision. The Kinderhook location has 9 working bays and 2 wash bays. Downdraft booth from Italy, Car-O-Liner technology and they are spraying envirobase paint, which is water borne, to ensure a great match and environmentally friendly. All paint is 100% guaranteed. The ultimate goal is to have your vehicle restored to pre-accident condition. Every part of collision repair is extremely specific & all details down to the finishing touches are a source of pride for the Jets Truck & Auto Body family. Baking the new paint on for 35 minutes to cure it in their newer technology paint booth, instead of the usual cross-draft procedures of old. The air is directed from the ceiling into the pit and gives a much better finish to the vehicles. Jeff and his crew want every owner to walk out of their shop pleased with the results of their repair. 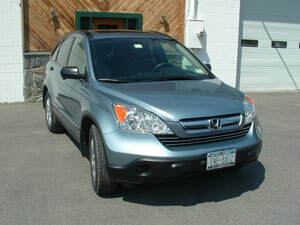 "Jeff and Crew: Thank you for the outsanding work you did on our 2004 Rav 4. It looks as good or better than it did coming off the storeroom floor. And thank you for working so closely with the insurance adjuster. You made a bad thing relatively painless." Jeff lives locally with his four legged "kids" Ziggy and Zoe. He gives credit to his employees and managers for Jets Truck & Auto Body continued success and growth. Jeff insists that the “team” is what Jets Truck & Auto Body is about. 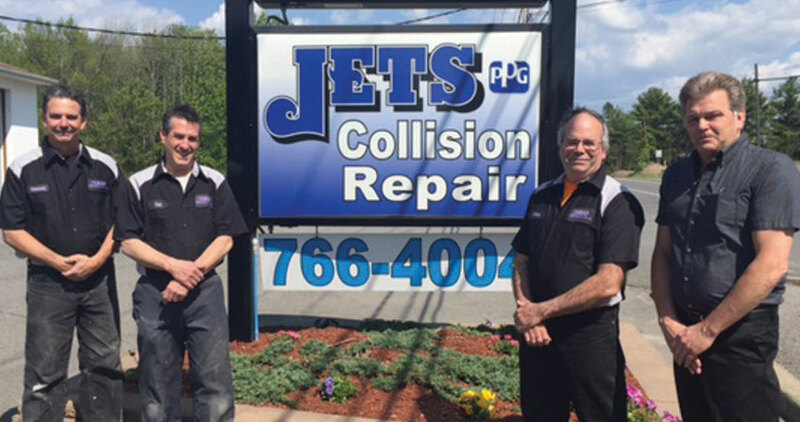 Brian Duffy from New Lebanon has been with Jets Truck & Auto Body almost since its beginnings, and now manages the Nassau location. George Catanzano is the General Manager in Kinderhook. Jets Truck & Auto Body is open Monday through Friday from 8am to 5pm, but will always take later or weekend hours when necessary to accommodate your needs. If you are involved in an accident, of course your first calls will be to your car insurance & the police. Please keep in mind that you have a choice of where you want your vehicle to be repaired, by law, and you are not required to just take it or have it taken to the closest garage, a dealership, or any specific location the insurance company recommends. Now is the time to put the phone numbers in your phone and keep them handy in case of a collision. Jeff thanks the community for their patronage throughout the past 35 years. and looks forward to meeting many new customers.